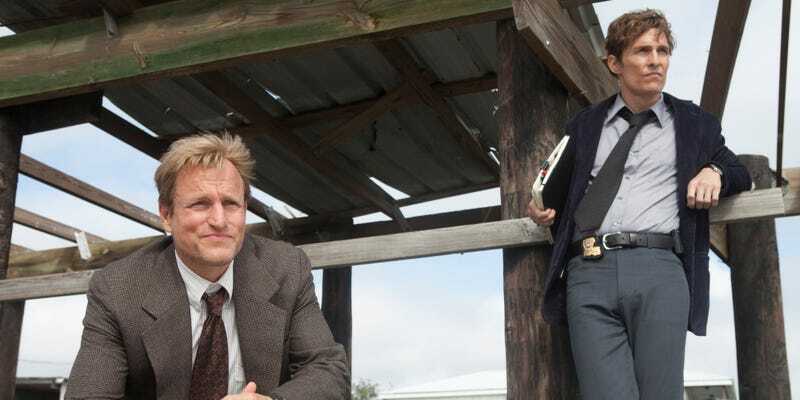 Is anybody else watching "True Detective"? Holy crap, this show is amazing. The writing is stunning, and Woody and Matthew are in their absolute top form. It's basically Southern Gothic Noir. Genre shoutout to "The King In Yellow" references, as well. Seriously, this is a stunner; it is so dense and multi-layered, wonderfully so.